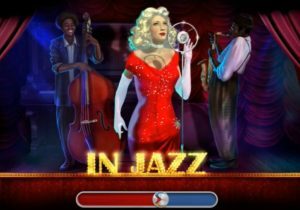 Well-known gaming software designer Endorphina has released a brand new slot game just in time to commemorate International Jazz Day which falls on the 30th of April. 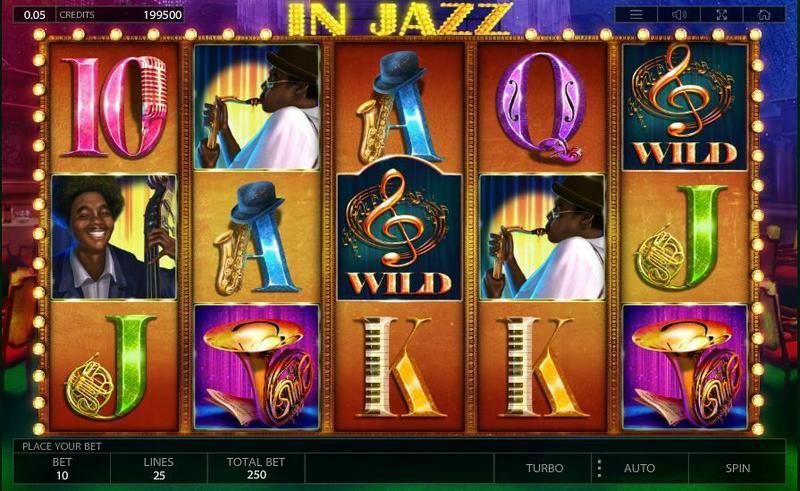 Slot game enthusiasts who are also crazy about Jazz will certainly enjoy giving In Jazz slot a whirl. It is only fitting that that game is set in Chicago during the heady 1930s with visuals and sound effects that suit the theme perfectly. This game has a unique look and feel to it that is very hard to resist. In Jazz Slot – One Among the Many! This newly released slot game comes on the heels of a couple of other titles from the developer and all of them are sure to bolster its reputation as a gaming software creator of repute. The developer had launched three other games in April apart from In Jazz. These include Slotomoji (filled with emoticons), 2027 ISS (set in outer space), and Cuckoo (themed around hand-painted crafts). Overall, Endorphina’s portfolio has an eclectic mix of titles that are sure to appeal to gamers from all over the world. The company’s games are Flash-based and can be played on a variety of desktop and mobile devices, including most smart phones and tablets with iOS and Android operating systems. In Jazz has plenty in common with other Endorphina titles. For one, its graphics are outstanding with symbols that stand out clearly. Secondly, the game has a very catchy soundtrack; in this instance, it consists of vintage jazz tunes. Furthermore, the gameplay is excellent and perfectly capable of keeping players enthralled for a long time. It’s not just jazz fans who will enjoy playing this game because it has plenty of features to keep most slots players busy. The In Jazz slot game has 25 pay lines spread across 5 reels. The game has wilds and scatters galore to ensure that players keep getting free spins and win multipliers. There is also a special feature known as the Musician Jokers feature that hikes the players’ chances of winning. As a matter of fact, the game is particularly generous with free spins. They occur when at least three scatters appear on any place on the reels. They also get triggered during the bonus game if a minimum of three In Jazz symbols land during this game. Players are going to find it fairly easy to locate this new game. It’s available on a number of online casinos that feature Endorphina titles. Casinos such as VegasCasino, 1xBit Casino and Playamo Casino are good places to look for this game. That said, it is available at many other online casinos too. Endorphina-powered casinos are especially popular with online gamblers. This is because of the high quality of software that is used to support them. These casinos offer customers a safe and secure environment to gamble. It makes use of the latest safety protocols to ensure that their personal and financial data is kept as secure as possible. In addition, the company ensures that all games are properly audited by iTech Labs. It is worth pointing out that the company has entered into agreements with two large companies. One is BetConstruct and the other is SoftSwiss. The agreement is regarding the supply of digital casino integration platforms. Endorphina is based out of Prague and has been in operation for five years now. Interestingly, players can make use of Bitcoins as well as conventional currencies to play the virtual slot machines made by this company. The online gaming software developer has also received a lot of attention in the industry. Especially when it won Product of the Year at the Entertainment Arena Expo 2015 which took place in Romania.